Heroes of the Storm’s Echoes of Alterac event will see a fan favourite World of Warcraft character step into the fray – Yrel the Draenei paladin. She arrives alongside a new map, Alterac Pass, which is based on one of the most infamous battlegrounds in the world of Azeroth. Looking to expand your horizons? Check out our best multiplayer games on PC. 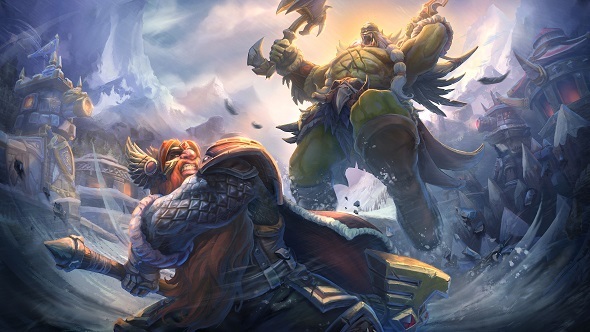 While Warcraft is already represented in the Heroes of the Storm universe with characters and maps, Echoes of Alterac will mark the first time a wealth of Warcraft content has come to the MOBA in the form of a timed event. Alongside the new hero and map comes a plethora of unique quests that will yield skins, portraits, mounts, and more tantalizing bonuses. But it’s not just a case of plucking out parts of Warcraft and dropping them into Heroes of the Storm. Blizzard was quick to point out that the most important consideration when putting together this expansion was that it felt authentic to the Warcraft experience, and in ways that will surprise and delight players. Alterac Pass will significantly change the way heroes do battle, it introduces several new mechanics that will add new dimensions of strategy that can alter the flow of battle, including the prison camps that can spawn cavalry units and generals that take the place of structural cores. Alterac also arrives with a new hero: Yrel. She’s been tailored to play to the strengths of defensive players. Last year Blizzard’s Battle.net launcher began listing games from the Activision side of the publisher’s business, the first being Destiny 2 and Call of Duty: Black Ops 4 will be joining it when it releases in November. The question is ‘Is this representative of more of a collaboration than a shared storefront? Looks like Destiny and Call of Duty won’t be added to the Nexus any time soon, then. But maybe in the future. Sure, they may seem like a jarring addition at first, but Destiny’s sci-fi meets high fantasy aesthetic could sit quite neatly alongside favourites from StarCraft and Diablo. Call of Duty is more of a head-scratcher, but as the Black Ops series veers more wildly into space-age future warfare, it doesn’t seem implausible that its high-tech soldiers couldn’t one day stand alongside Overwatch’s cast. One area that Heroes of the Storm has found itself at a natural disadvantage is in professional play. With the esports space already cornered by League of Legends and Dota 2, Blizzard has struggled to find a dedicated spectator audience for its less intensive MOBA. In an effort to inspire growth in this area, Milker highlights how Blizzard’s esports specialists and even pro players themselves are involved with the development and testing of new Heroes of the Storm content. “We have a dedicated esports crew who are running Hearthstone Championships and all these awesome events for us. They have the opportunity to get involved with a lot of our playtests and give us feedback,” he explains. “The balance team, who are highly competitive, will talk with all of those various esports players. A lot of the Tempo Storm players live in Irvine, where Blizzard is located, there are a lot of opportunities for the team to talk to pro players and make sure that the content we’re developing will feel good at the highest level of play. Blizzard’s dedication to growing its universe is evidenced by the clear enthusiasm displayed by its team. When looking to the future of Heroes of the Storm, though, it’s fair to wonder if Blizzard has an eye on games like Fortnite, especially when it comes to monetising the future stages of the game’s content. 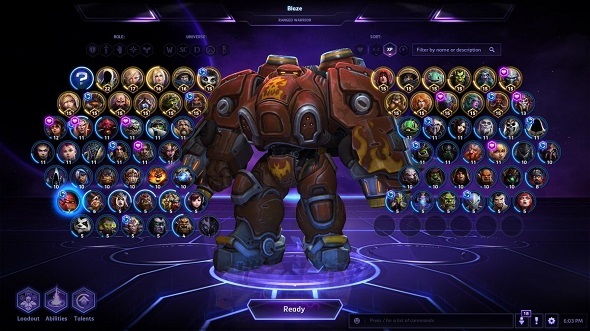 Could a Battle Pass eventually come to Heroes of the Storm? “We don’t have plans for that right now but we’re definitely watching all the things that are going on in various games and around the industry. We play all these games,” Milker says. “We’ll keep looking for things that are a good match for heroes and our players. 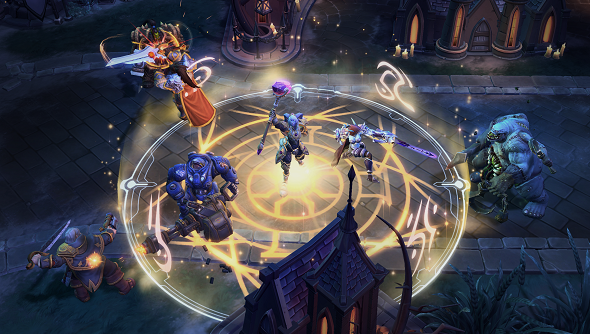 Blizzard is by no means done with Heroes of the Storm, and with the hint that the team would consider expanding the universe beyond the bounds of what already exists in the game has got our minds racing with possibilities. We’ll be dreaming of a future where Cayde-6 and Captain Price can team up on the battlefield, swapping quips with gruff grumbles. But maybe that’s just us.